Family Time is More Fun Under the Sun. Panama City Beach is the perfect vacation destination for families. The beach is the best place to relax, unwind and play. 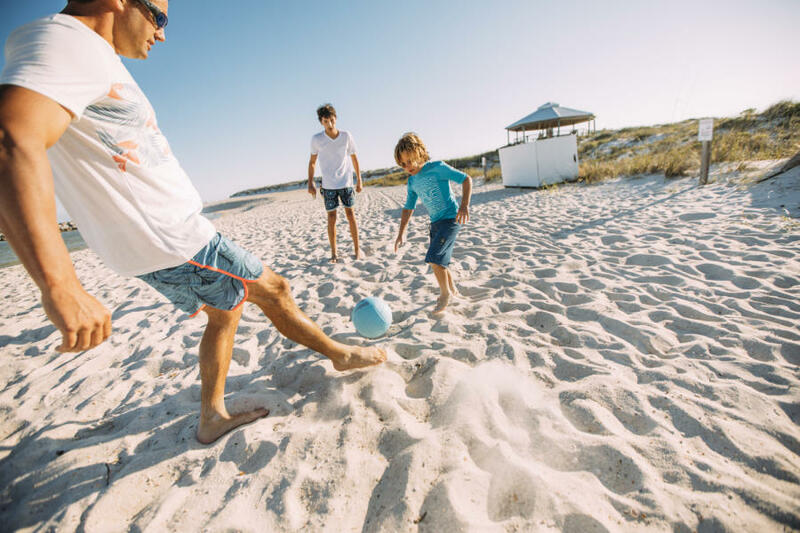 With 27 miles of pristine, white-sand beaches, feel free to kick back under an umbrella with a good book, while your family frolics in the waves. Start a game of beach volleyball, or gather everyone for a bike ride along the beach. Stop by Barley’s Bike Rental, so you can explore the beach on two wheels, where you will be surrounded by the natural beauty of the Gulf Coast. Panama City Beach makes it easy to plan a fun, jam-packed itinerary every day. Ever dreamed of swimming with dolphins or snorkeling in the turquoise waters? Stop by Adventures at Sea and they will make it a reality. Always wanted to do some fishing in the Gulf Coast? Rent a pontoon boat at Bay Point Water Sports for a leisurely family fishing trip. Does your family thirst for thrills? Book a parasailing trip with Adventures at Sea and take in the ocean vistas from up high. Panama City Beach has a variety of amusement parks for your kids and the kid in you. At Cobra Adventure Park, you can be the ultimate driver and race go-karts on a four story track. If your kids are not old enough to drive yet, double-riding is available for a fun and safe experience. Lose yourself at the Gran Maze at Coconut Creek Family Fun Park. This football-field sized labyrinth is famous for being the first in America! Think you can score a hole in one? Get the fam over to Goofy Golf, Panama City Beach’s premier mini-golf course since 1959. 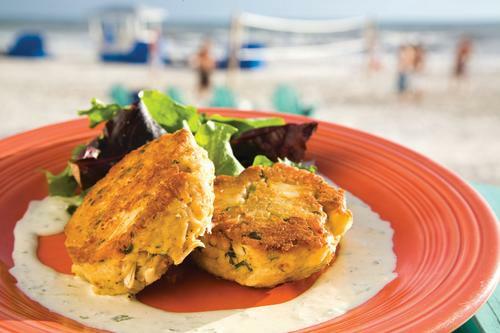 You never have to worry about dining options in Panama City Beach not being kid and wallet friendly. To start your day off right, try Andy’s Flour Power Cafe and Bakery for a traditional breakfast (waffles! ), or if you need a jolt of sugar first thing in the morning, Thomas Donuts is the place for you. For a quick bite, stop by Finn’s for fish tacos and hearty burritos or, for a lighter fare, a crisp house salad. If your crew needs a rest and a sit-down family meal, share (or don’t) everything from fried calamari, seared crab cakes, and other seafood dishes, to classic American, Southern, and Cajun cuisines, on the diverse menu at Schooners. After all that fun in the sun, you and your kids are going to need some down time. 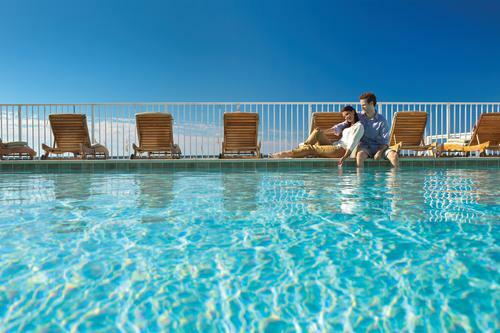 Panama City Beach has a variety of accommodations for families to relax after a fun-filled days. Whether you like the amenities of a hotel or you need a beach house for a large family, Panama City Beach has it all. Campsites and RV parks are available for those who like to be closer to the great outdoors. Not to worry, you will still have access to laundry facilities, showers, and bathrooms. After all, you are on vacation―no need to “rough it” too much! At the Real FUN beach, your family will never run out of ways to make it yours.